Employee Selection: Does Bias Influence Your Hiring? Does Bias Influence Your Hiring? How to Recognize and Avoid Bias in the Hiring Process. Imagine a scenario where a respected HR Manager is approached by an outside management consultant to discuss bias in their hiring process. This veteran leader is a little defensive because the HR team has a track record of being committed to professional strategies that are fair to all parties. Perhaps there is something new to learn. According to this article in Forbes magazine, unconscious biases are “deeply subconscious attitudes [that] span race, gender, appearance, age, wealth and much more.” Psychologists assure us we all have them. No one is exempt. Unconscious biases are part of the human experience. Before going further, let’s return to our HR Manager. We can understand the initial reaction because bias often has a negative connotation. We are wise to remember that the majority of bias stereotypes do not come from a place of negative intent. Let’s turn to recruitment and hiring. To offer some context about how bias enters into recruitment efforts, here are 5 common types of bias that can appear in the recruiting process. 1. Conformity Bias – This is also known as ‘group think,’ when people go with the group’s choice and suppress their own opinions. 2. Affinity Bias – This occurs when the candidate and recruiter share a common experience or attribute. 3. Halo Effect – One positive attribute about a person is elevated beyond a reasonable proportion. 4. Compare and Contrast Effect – When a recruiter spends a concentrated amount of time reviewing resumes or interviewing candidates, the challenge is to evaluate a candidate based on his or her own merit. 5. Confirmation Bias – If a recruiter makes a gut reaction about a candidate, the next step is often to find a reason to confirm the choice. Managing the subjective, human element of individual biases and expectations is the challenge. 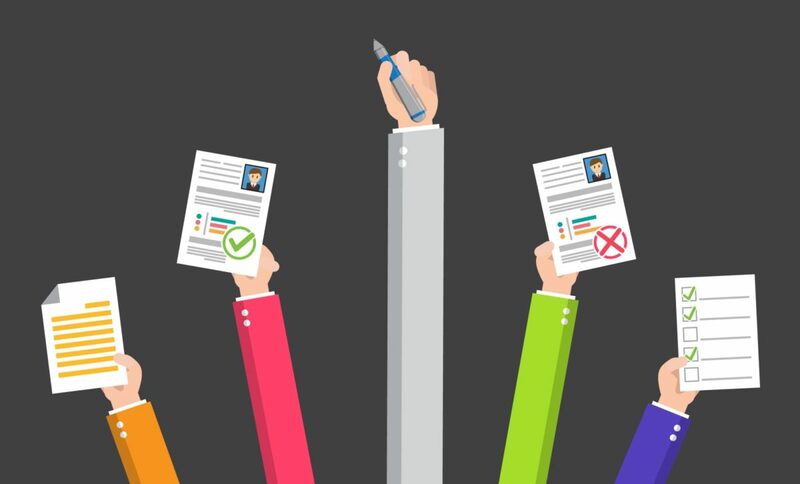 To increase accuracy and help control for potential bias, it’s important to use objective tools like well-designed pre-hire assessments early in the selection process. Switching to a consistent, structured interview process will also help you avoid common interview mistakes. By using objective tools early in the hiring process, following a proven structured approach, and staying true to the three essentials of accuracy, reliability, and compliance, you’ll be well on your way to hiring the absolute best people quickly, accurately, reliably, fairly, and with a high return on your investment. Questions about eliminating potential bias from your hiring process? With more than 30 years of pre-employment testing and selection experience, we’d be happy to share industry best practices for reducing bias and minimizing risk. Just call us at 888.332.0648 to start a conversation!